In theory, the Clear Stick Atlas may be the epitome of portability—the kind of device for anyone looking for something that instant internet connection in an instant. However, if you intend to use the device where Clear doesn’t provide the necessary wireless connection, then you could be left in the dark. 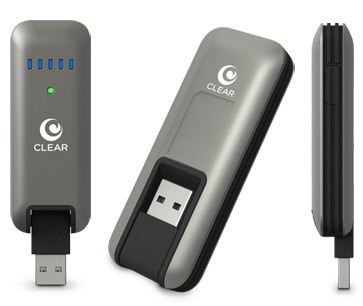 Clearwire recently introduced its newest product, the Clear Stick Atlas, which is a USB device designed to provide users with a secure 4G connection. In this instance, users are not required to download software or agree to the terms and conditions of use of that software. The device’s Plug and Play feature makes it stand out despite the stiff competition in the USB modem market today. The Clear Mobile USB Device makes use of 4G to produce connections through the Clearwire WiMAX network. Resembling a custom flash drive and weighing only 1.1 ounces, the Clear Stick Atlas can be easily carried around inside your pocket or purse. Flaunting a matte finish, the charcoal gray USB stick also includes LEDs to indicate signal strength and connection status. Moreover, the device has no battery so you can use it anytime without having to worry about its battery and how long it can last. The Clear Stick Atlas can be used in any computer that sports a standard USB port. It works well with most operating systems including Windows 7, Vista, XP; Mac OSX; Linux; Android; and, Chrome. Keep in mind, however, the Clear Mobile USB device offers 4G connectivity to only one PC or user. Unlike hotspots, you cannot share your internet connection with anyone. While it’s a strictly one stick, one PC device operation, other devices can allow up to 10 connections at the same prize. Another drawback to the Clear Stick Atlas is that it is strictly for internet connection in select areas of the U.S. and cannot be used at all for storing and sharing files like a traditional custom USB drive. If only it could function as a both a storage device and a 4G connection for maximum versatility. The $49.99 Clear Stick Atlas can be sold with different data plans from Clear. We highly recommend that you test the waters first before buying one. Fortunately, there are no annual contracts locking down your commitment to Clear! Would you use the Clear Stick Atlas? Tell us why or why not. This entry was posted in 4G Technology, Articles, USB Devices, USB Gadgets, USB Modem, Wireless Media Stick and tagged Clear Mobile USB Device, Clear Stick Atlas, Clear Stick Atlas USB 4G, Clear Stick Atlas USB Device, Clearwire WiMAX network, Custom USB Drive, USB Modem. Bookmark the permalink.